Don’t ask me how I forgot to review Girls’ Last Tour yesterday, for this oversight is a mystery even to me. If anything can explain it, it’s the fact that I dropped the anime for a while until some commentators convinced me to give it another try. (Yours truly ought to more frequently apply the three episode rule.) Reading Infinite Zenith’s “Girls’ Last Tour (Shōjo Shūmatsu Ryokō): Full Series Review and Recommendation” reminded me of the fact that I had both watched the show and not reviewed it on my blog. Infinite Zenith features very detailed posts with plenty of screenshots, and I highly encourage all my dear readers to read the post linked to above. I mentioned in my article on Arpeggio of Blue Steel that God wishes us to be His friends. If we look at human friendships, we might rate them as follows from least to greatest: 1) friendships of utility, 2) fair weather friends, 3) friends of long duration, 4) friends who remain friends in difficult times, and 5) friends who suffer with us. 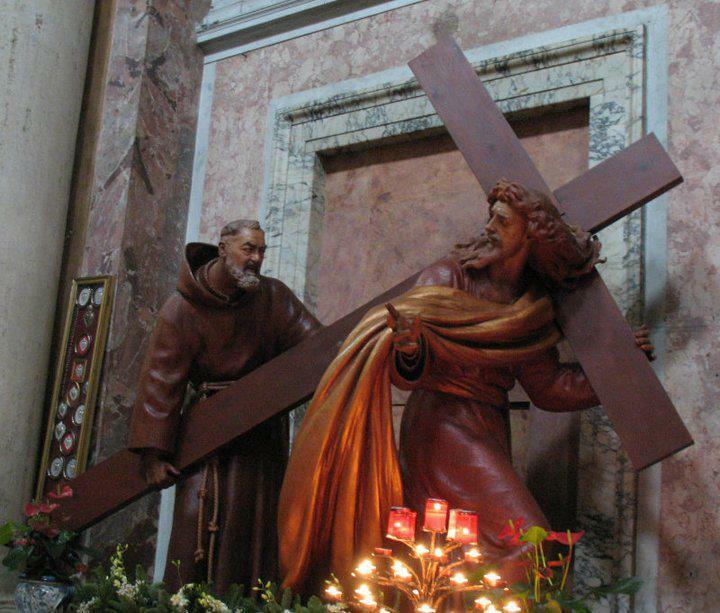 Though God loves all of us infinitely–even those who actively hate Him, who can doubt that those who most perfectly share the cross of Christ must be considered best friends? He wishes to transform those of mercenary temperament to serve him out of love, is pained by seeing the unwillingness of second group to stay with Him in suffering, looks with great fondness on those who stay by His side though weakly, is consoled by those who remember His Passion often, and who can describe the joy and pleasure He takes in souls that share in His Passion through suffering? 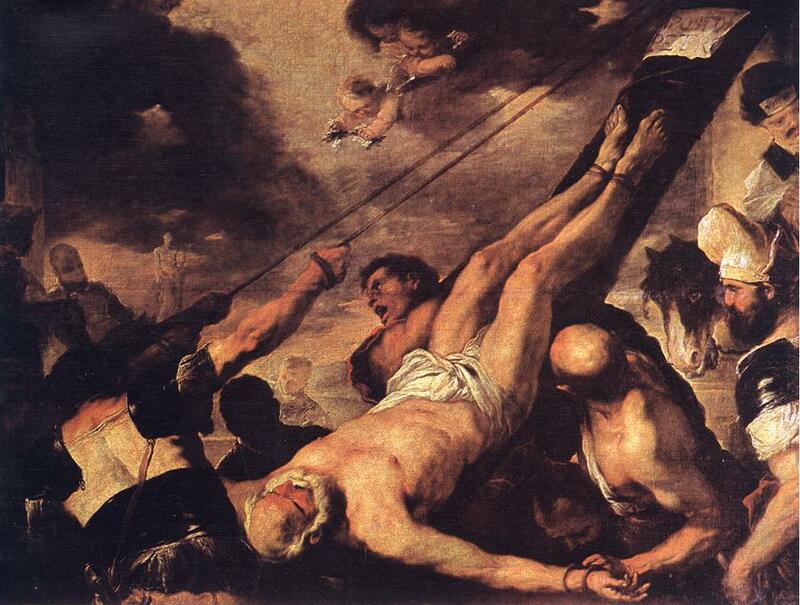 And so, when we suffer, we ought to be more inclined to thank God for these very sufferings than complain of them. As St. Peter writes: “But rejoice insofar as you share Christ’s sufferings, that you may also rejoice and be glad when his glory is revealed” (1 Peter 4:13). The whole purpose of prosperity is to prepare us to suffer. We thank God for good things so that we might later be able to say with Job: “Naked I came from my mother’s womb, and naked shall I return. The Lord gave, and the Lord has taken away; blessed be the name of the Lord” (Job 1:21). This time on earth is the most important time in our lives, but it pales in comparison to the eons we shall enjoy in the presence of God. Such a long time is incomprehensible to us! Everything good and beautiful here should lift our minds to the splendor and joys of paradise. 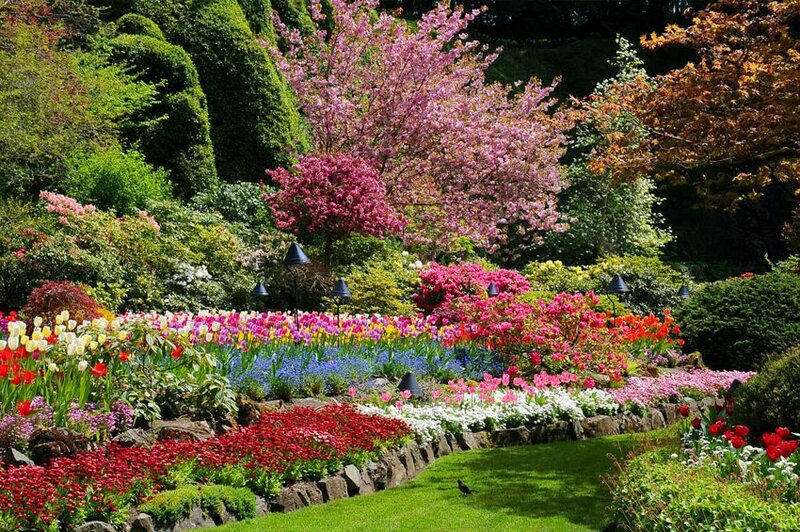 If the flowers and verdure of spring can give us such pleasure, how much more will paradise delight us with its beauties? Lest the thorny and rocky path to this delightful paradise disquiet us, let us remember that path smooth and strewn with flowers but leads to the gaping maw of hell. Even if we allow the storms of life to choke our faith, God will never forget the least moment we shared His sufferings. Who can doubt that He shall shine the warmest rays of His Mercy on such a soul even to the last moment of life so that it might still attain eternal life in heaven? Well, it has really been a long time since I’ve posted here. One of my biggest problems being that I tried to write about The Inferno several times and failed. Writing about The Inferno carries three problems for me: 1) I don’t really understand some passages; 2) certain references are too abstruse for me–especially in the iPhone edition I was using; and 3) I don’t get any particular enjoyment out of reading about hell. 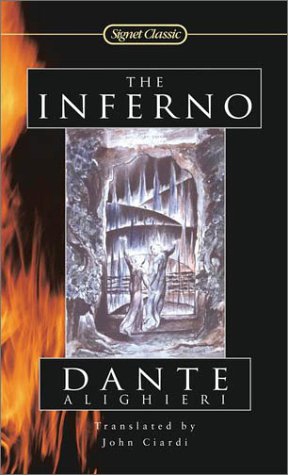 For me, the strong point about The Inferno is the wonderful relationship between Virgil and the narrator–whom most refer to as Dante himself. It’s wonderful to see how Virgil protects Dante through so many perils, and how Virgil stands up to demons, knowing that nothing can obstruct the will of God that Dante be permitted to examine hell. I suppose the work might also be a way to meditate on how the vices present in one’s soul may lead one to hell and how to correct them. On a final note, William Wordsworth translated the work in a beautifully poetic fashion. I have no desire to write more than that, but I will give the work a second chance to grow on me later on. In any case, I hope to enjoy The Purgatorio more. A professor I had, Bradley Birzer, told me that this work was the best part of The Divine Comedy, while The Paradiso was the weakest. I hope that circlecitadel won’t be too disappointed.